Desh on December 17, 2016 Bangla magazine ebook pdf file. Desh is a traditionally fortnight Bengali literary related magazine of Bangla version which is published by Anandabazar daily new paper from Kolkata. 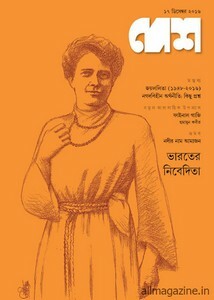 The magazine published on the date of 2nd and 17th in every month. Now I'll share with all of my literary magazine reader friends a pdf ebook file of Desh December 17, 2016 edition. This edition's main cover stories are Bharater Nibedita, Jaylalita (1948-2016), new serial novel- Final Gazi by Humayun Kabir, travel on Amazon, four wonderful stories, poems etc. Readers can also collect all old issue of the Bangla old Desh patrika from here.